I specialize in residential, land, and commercial properties as well as recreational Lake Almanor Basin and Plumas Country real estate. As a local for almost 28 years, I understand the ins and outs of the Lake Almanor real estate market and community. I use this insight to market seller's properties and find their buyers the perfect home to match their desired lifestyle. Those purchasing a second or retirement home have different motivations than when they bought their former or current home—they are buying a new lifestyle, a dream that they plan to fulfill. I listen closely to my buyers to help find the residence that will be in tune with their vision. Working with owners selling a second home requires the utmost care in addition to keen negotiating skills and experience. Sellers are saying goodbye to a sanctuary, a special place they created away from the stress and strife of daily life. Assisting my clients is my passion and it's my clients and the community that fuel it. It's more than just selling property: It's taking the time to find the right fit for every individual and family. Just as clients can choose where to take their business, I work only with others who share this value. Reputation is everything, and it is my belief that an honest relationship and honest work will always be more rewarding than a quick buck. I've been known to "tell it like it is.” My father, Blair Conradsen, a member of the Greatest Generation, told me at the beginning of my real estate career that "Once you think of the commission, you have breached your fiduciary duty to your client,” and I have lived by this principle. I value open communication. 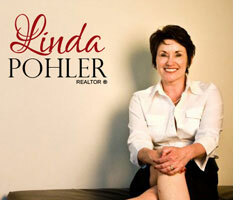 As a buyer or seller, you want to know that your agent will be there when you need her. I'm always happy to answer questions and go the extra mile to make sure my clients are satisfied. I want to go beyond the transaction and make each sale an all-around good experience. Communication is a key factor in making that happen. In life as in business, you have to love what you do. I would not be successful without being passionate about the industry and the community. Seeing clients thrilled with their purchase or home sale is the ultimate satisfaction. Like those who choose to invest in the Lake Almanor Basin, I am passionate about its environment and community. My husband Kirby and I have donated to the preservation of the Olsen Barn and the Meadow that borders the lake just outside of Chester. I'm now in my third term as the President of the Lake Almanor Chamber of Commerce, a passionate group that supports local businesses and events. I strive to maintain the highest real estate standards. Clients come first and I am always available to support them. I believe in creating a balance in my work so that each property gets the attention it should have and nothing gets overlooked.